It's been a glorious day here and the sunshine most welcome. It's hard to believe that the Warehouse buildings have been open now for almost three months and we have all been incredibly busy. We are delighted to say the new facility has been very well recieved with lots of positive feedback. 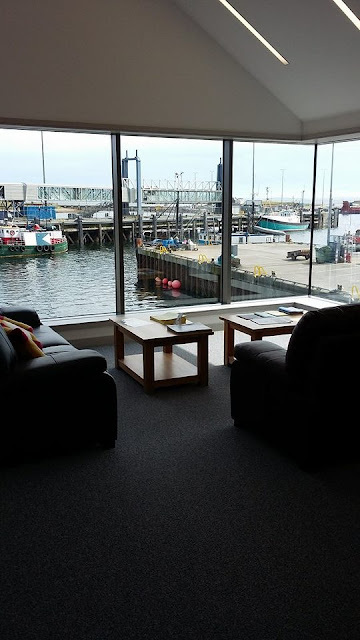 The biggest oohs and aahs come when people go to the adult lending area up the stairs and see the fantastic view from the seating area. This photo really doesn't do it justice, you'll have to come in and see it for yourselves! Many people comment how they could easily sit up there all day. There is a lovely library atmosphere and the upstairs facilities are being well used for people studying as there are also desks in the reference area and GMB room. 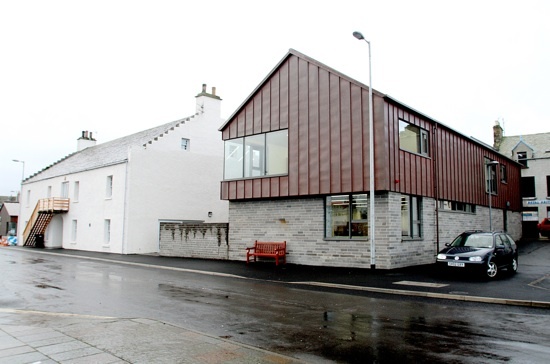 If you are able to tear yourself away from the upstairs there are many other facilities available including a large junior library selection on the ground floor as well as large print, Orkney books, audio books, public computers, and coucil services.